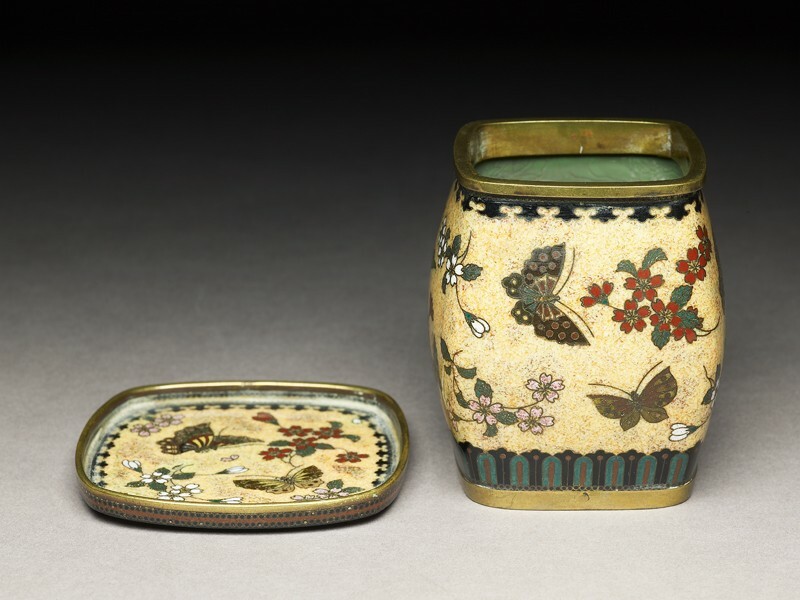 The art of Japanese cloisonné enamelling developed quickly during the Meiji era, when technological improvements were introduced from the West. 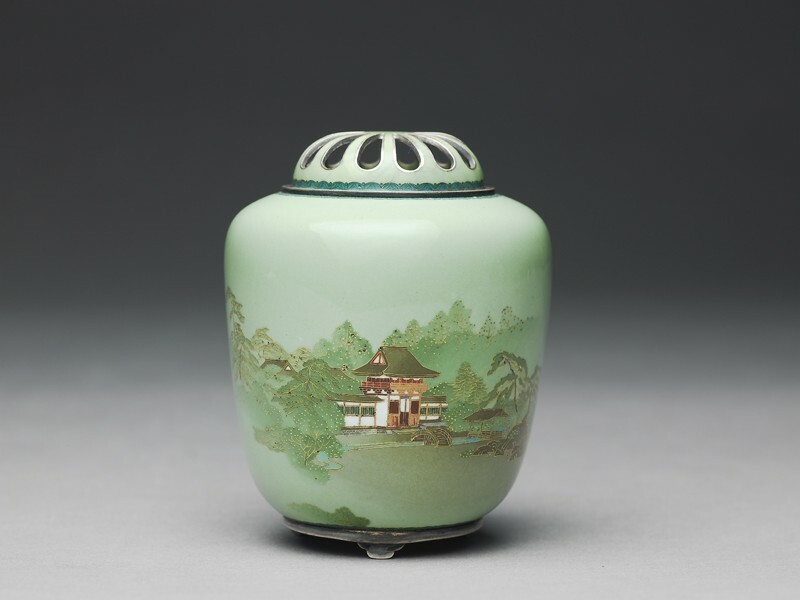 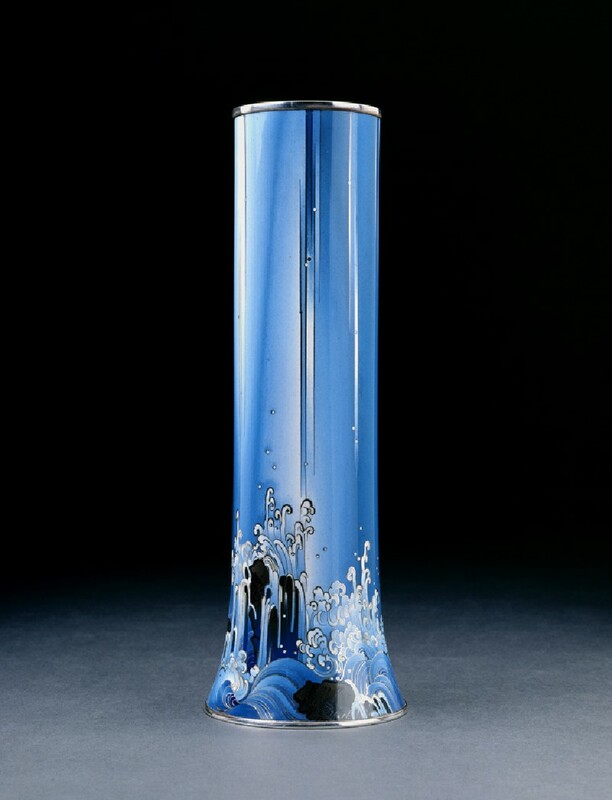 Standards improved rapidly and cloisonné became a popular export item. 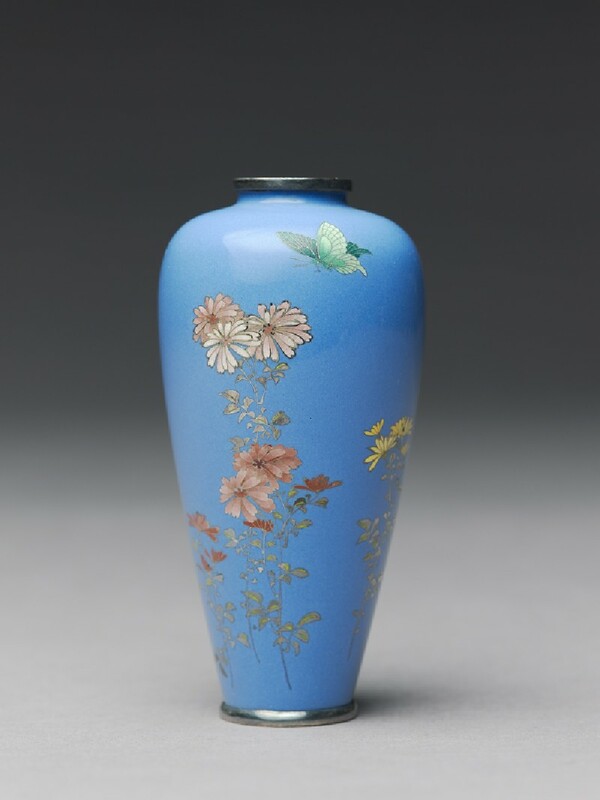 The brilliant cloisonné artist Namikawa Yasuyuki (1845-1927) founded a hugely successful workshop in Kyoto and won countless medals at national and international exhibitions. 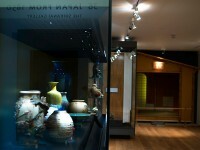 The objects on display in this gallery show how he developed his techniques and styles over the years, from the relatively crude to the astonishingly sophisticated. 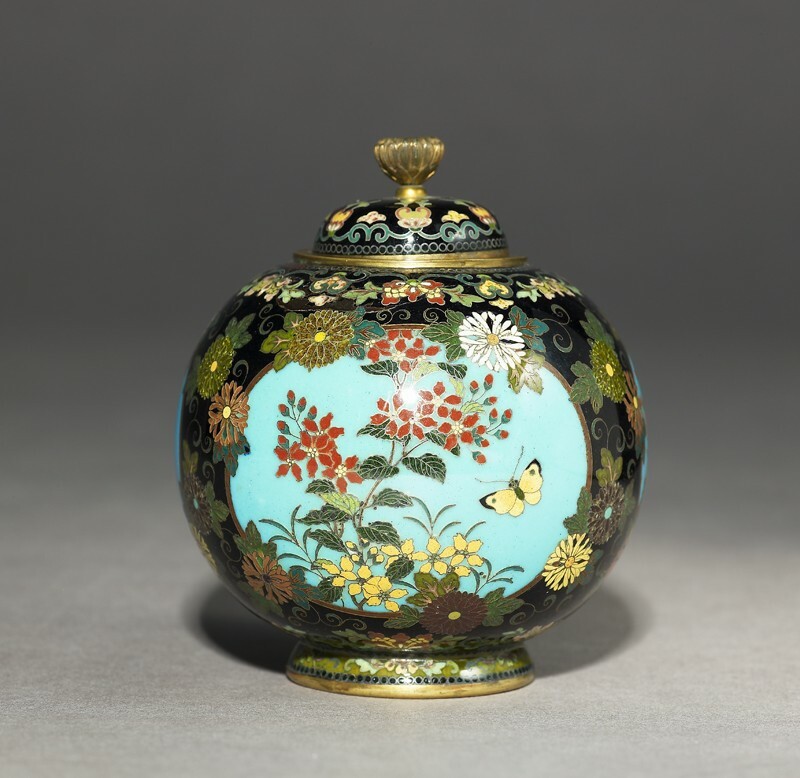 In traditional cloisonné, wires are attached to a metal body and coloured enamels are applied between the wires. 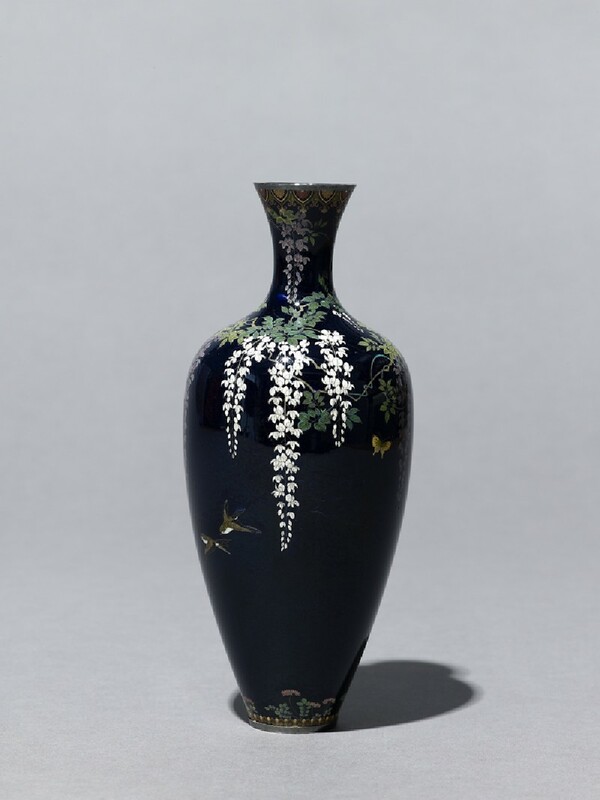 Yasuyuki's great skill lay in the way he sculpted the wires into different shapes and widths, so that they became an important part of the picture in themselves.